Professor Liz Campbell is the inaugural Francine McNiff Chair in Criminal Jurisprudence at Monash University, having previously been Professor of Criminal Law at Durham University (UK). She is also adjunct professor at Queensland University of Technology’s School of Justice and is a former Fulbright Scholar. Professor Campbell’s research focuses primarily on how the criminal law is deployed to address sophisticated, profit-driven crime both by otherwise legitimate corporate entities as well as networks of organised crime. She has written numerous peer-reviewed academic articles and a book on forensic and biometric databases, looking in particular at the human rights implications of such investigative and policing tools in a comparative context. Since 2017 she has been an appointed member of the UK Home Office Biometrics and Forensics Ethics Group. 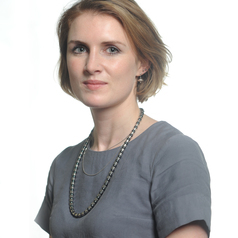 Her research has been funded by the Research Council UK’s Partnership for Conflict, Crime and Security, the UK's Arts and Humanities Research Council, the Law Foundation of New Zealand, the Fulbright Commission, the Modern Law Review and the Carnegie Trust.